FDA-approved saline breast implants are filled with a saltwater solution similar to the fluid that makes up most of the human body. Each saline breast implant has a self-sealing valve used to fill the device during surgery. We offer a variety of textures, sizes, and shapes to provide you and your plastic surgeon the greatest possible flexibility toward achieving breast enlargement goals. If you would like to learn more about breast augmentation, please call Plastic Surgery Arts of New Jersey or contact us online to schedule your complimentary consultation. For a complete body image makeover, you may consider combining breast enhancement surgery with one or more of the body contouring procedures we offer: tummy tuck, liposuction, thigh lift, or arm lift. 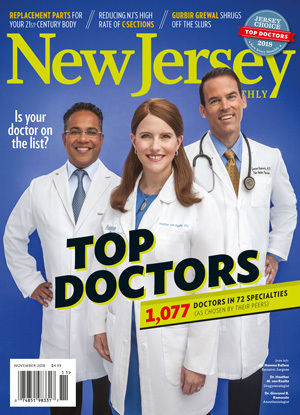 Dr. Kevin Nini is a NJ Monthly Top Doctor! Dr. Nini is a leader in the use of the most advanced surgical techniques, allowing patients to resume their personal and professional activities soon after surgery.